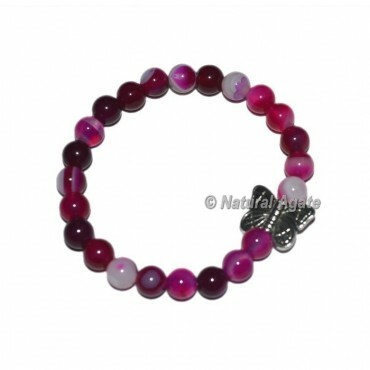 One of the kind intriguing bracelet created utilizing pink oynx gemstones. These arm ornaments are a perfect choice for your outfit or to gift some person for any occasion.Onyx repairing properties uncovers understanding into your inward truth in reflection practice in light of the fact that it's a shot for a one-on-one with you and the universe. For extraordinary demand or change in design connect with us direct.